A Chinese tire manufacturer has developed the country’s first 3-D printed tire, with assistance from Beijing University of Chemical Technology (BUCT). Fabricated out of thermoplastic polyurethane, the tire offers lower rolling and heat resistance than rubber tires, claims manufacturer Linglong Tire. In addition, the reduced rolling resistance provides a more fuel efficient tire because it produces less heat build-up. According to the U.S Department of Energy, a conventional car uses as much as 11% of its fuel on overcoming rolling resistance, notes 3DPI.com's Corey Clarke. This percentage rises with heavier vehicles, as well. Researchers with Yantia-based Linglong and BUCT produced the tire using an FDM 3-D printer to form the TPU material into a tire shape with a hexagonal, honeycomb-like structure. (Fuel deposition modeling [FDM] is an additive manufacturing technology in which material is extruded in layers.) Linglong says the fabrication method promises lower costs than the traditional tire making process, which involves using molds. Thermoplastic polyurethane exhibits high quality standards in the areas of safety, endurance, environmental protection and lifecycle, Linglong says. The TPU-based tires can easily be recycled when worn out or damaged, demonstrating the company’s commitment to “going green.” Rubber tires are notoriously difficult to recycle, which has spurred the tire industry to seek “greener” material alternatives. The Chinese company is not the first tire manufacture to delve into 3-D printing. 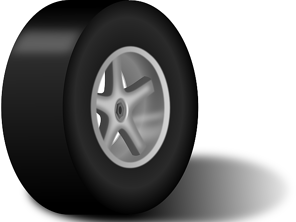 Other companies like French tire manufacturer Michelin and Goodyear have showcased concept tires with the technology. According to Clarke, American tire manufacturer Goodyear proposed a 3-D printed concept tire last year called the Eagle 360. “Not only was this design 3-D printed, but the tire was also completely spherical,” Clarke notes. Having successfully tested their first 3-D printed TPU tire, Linglong and BUCT will move on to advancing the tire’s design and the TPU’s composition in order to improve heat and moisture resistance, as well as overall performance. According to BCC Research’s newest report, the global polyurethane market should reach $68 billion by 2021 from $49.8 billion in 2016, demonstrating a 6.4% CAGR.